Goulston & Storrs is pleased to announce that it has bolstered its Real Estate practice groups in Boston and New York with the addition of three seasoned associates. Chelsea Johnson and Michael Pesa-Fallon today join the Boston office, and George W. Evans III joins the Real Estate group in the firm’s New York office. Chelsea Johnson joins Goulston & Storrs from Nixon Peabody LLP and focuses her practice on working with equity investors who help finance affordable housing and energy projects throughout the country. Chelsea works primarily with the low-income tax credit by setting up transactions that finance the construction, rehabilitation and management of affordable housing projects. She helps her clients retain their tax credits by addressing any issues that arise during the tax credit compliance period. Chelsea also works with investors to finance transaction that use tax credits and other tax incentives to build and operate renewable energy production facilities. She reviews diligence to identify issues and find the best solutions for each deal she works on. Chelsea received her B.A. from the University of Chicago and her J.D. from the Boston University School of Law. A broad range of commercial real estate transactions, including joint ventures, acquisition and disposition of office, hotel and other property classes, commercial mortgage, mezzanine and construction financing (representing both lenders and borrowers), development of office, residential and mixed-use projects, including the transfer of development rights and joint public-private initiatives are the focus of Michael Pesa-Fallon’s practice. 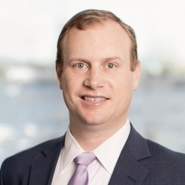 Prior to joining Goulston & Storrs, Michael was a commercial real estate associate at DLA Piper LLC. Michael received his B.A. from Bowdoin College and his J.D. from Brooklyn Law School. As the firm’s newest Real Estate associate in its New York office, George W. Evans III focuses his practice in the areas of real estate and real estate finance. George represents owners, operators, developers, lenders, borrowers, landlords, tenants and investors in sales, acquisitions, financings and leases of medical, residential and commercial properties across the United States. George also has experience advising publicly traded REITs on securities law matters. He joins Goulston & Storrs from Kleinberg, Kaplan, Wolff & Cohen, P.C. George received his B.A. from Williams College, his M.B.A. from Emory University and his J.D. from Emory University School of Law.